Kind of makes me think of one I saw once - at the bar which is next to City Lights Bookstore in San Francisco - it was a painting of Lorena Bobbit with her filet knife. 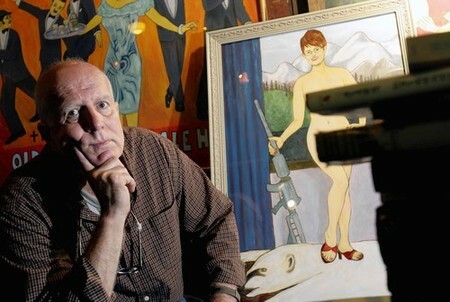 Chicago Tribune link about the painting - apparently, the bar owner used his daughter as the model for the painting. Kind of makes one think of McCain/Palin's father-daughter type interview. it was him saying it in her voice that was the key.